LCD Touch Screen Digitizer Assembly with bezel. for DELL Inspiron 13 5000 5378. •For: DELL Inspiron 13 5000 Series 5378. 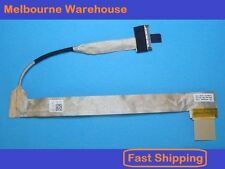 Compatible Model : For Dell Inspiron 13 5000 5378. •LCD Model: B133HAB01.0 or compatible. Dell Alienware M17X R5 CN-0FNH0H FNH0H 0FNH0H DC02001O100. NEW, Original Dell Parts. Dell Inspiron 15-5000 15-5555 15-5558 15-5559. NEW, Original Dell Parts. We are happy to repair all Dell Venue 11 tablet, we can resolve any problems. - On request we can replace this screen for you. Pulled out from a Dell Precision M6700 laptop. This is a genuine Dell full screen assembly. Top cover has slight scuff marks. All components are in working order. (Not a Laptop) (0JJ45K B156XTK01.0 TOUCH). You cannot deviate from your current screen specifications. Purchasing a screen with different specifications will not work with your system. Also Note: You will receive a 100% compatible screen. Resolution: 1920x1080 full hd. Warranty: 12 Months. Genuine Dell Latitude 3340 Full Display Assembly. This is a genuine Dell Latitude 3340 Full Display Assembly sourced from an ex demo unit. Manufacturer Dell. Note: Images used for illustration purposes only. Dell Inspiron 5570 technical specifications tableAlso known as Dell Inspiron 15 5000. AMD Radeon 530 (4GB GDDR5). Body material. 380 x 258 x 19.90 mm (14.96" x 10.16" x 0.78"). 8GB DDR4, 2400 MHz. Backlight type: LED. After performing the requested task, we will call you again. It's as easy as that! We also can process credit cards over the phone (this can take up to 10 minutes). Easy, Low Cost Repairs and Installations. 15.6" Dell Insprion 15 - 7568 Touch screen assembly. It includes: LCD Touch screen Bezel. Item Title. Eastcomm Technology. Very clean unit. everything is on working order. For Sale is Dell laptop it is in perfect condition.bought this not long , near near. Please note pick up is in West Wollongong, and will prefer catch on delivery, thanks and happy bidding. We removed this screen from a machine. 100% original working. M185XW01 WITH TOUCH SCREEN KIT BOUNDLE. Dell Studio One 1909 18.5" LCD Touch Screen Dell. DELL PART NUMBER CN-0MWT0G-4294 0-9CM-29R9-A00. Dell 15.6`Full-HD Thin-film transistor TFT Active-matrix Liquid Crystal LCD P/N: DC9YJ 14-66. And Screen Size can not be upgraded. Backlight Type: LED Backlight. Warranty: 12 Months. Part taken from a good, working used Dell Latitude E7470 laptop. Manufacturer Part Number: TYD2F. For Dell Latitude E7470. Resolution: WQHD 2560 x 1440. Dell genuine part. Minor scratch at back cover (unnoticeable), no scratch at screen. This Dell XPS 15 Laptop has HDMI & is an intel i5. It has bluetooth & WiFi. Comes with its Dell Power Adaptor & is in EXCELLENT condition. PICK UP ONLY. 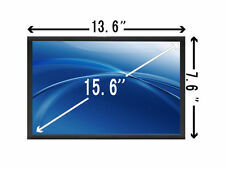 15.6"LCD LED Display Touch Screen Assembly For Dell Inspiron 15 7000. Maximum Resolution:1920 1080 FHD. Compatible for Dell Inspiron 137000 7347 7348 7359 P57G Series(ONLY FHD 1080P,not for HD resolution). With digitizer board. Screen Type: LCD Touch screen assembly Bezel. Laptop Models Models Listed in the title that have a 15.4" WXGA LCD Panel. Resolution WXGA (1280 x 800). XGA 1024x748 WXGA 1280x800 WSXGA 1440x900. SXGA 1400x1050 WXGA HD 1366x768 WSXGA 1680x1050. UXGA 1600x1200 WXGA 1440x900 WUXGA 1920x1200. Dell laptop latitude e5550. 8GB Ram 256GB SSD Intel Core i5 5th gen 2.2GHz Windows 10 Pro 64bit condition is Excellent used, Pick up melton south, can deliver within reason or will post at buyers expense. DELL INSPIRON N5010 15.6" LED TYPE LAPTOP SCREEN. Condition is Used. Win 10 Pro Inter Core i3 M330@2.13 GHz RAM 6 GB (64 bit) Sold as is and works perfectly. May need a new battery and install MS Office. We good for additional laptop and selling as not required any longer. This is brand new Motherboard. Never been used. Ready to go. Still on original packing. Happy to replaced the MB for extra $100 if you like. If you order this Motherboard from Dell, this will be more than $600. Dell Latitude 14 ( Model Number: 7480 ) - New Laptop. RAM: 16 GB DDR4. Display: 14" FHD ; 1920 X 1080 Anti-Glare. Condition: New and box opened. OS started and checked for any issues with basic setup. Brand DELL Screen Size 15.6 in Aspect Ratio 16:9 MPN AT-LCDASSEMBLY-DELL15-9550-UHD-S Max. Resolution 3840X2160 Compatible Brand For Dell Compatible Product Line For Dell XPS 15 9550 9560 Screen Finish Glossy/Matte Display Technology LED LCD Country/Region of Manufacture China UPC 711301611290. Laptop Models Models Listed in the title that have a 15.4" WXGA LCD Panel. Resolution WXGA (1440 x 900). XGA 1024x748 WXGA 1280x800 WSXGA 1440x900. SXGA 1400x1050 WXGA HD 1366x768 WSXGA 1680x1050. New dell TRIPOD HSA501-2W SILVER Dell M110 M115 HD. compatible with m110 and m115 hd. This product is compatible with M110/ M115HD Projector. And Screen Size can not be upgraded. Backlight Type: LED Backlight. Warranty: 12 Months. Condition: New Grade A .
I bought this laptop for my studies and now I have finished my studies I do not need this anymore. This laptop has 8 GB RAM and 1 TB hard disk. The original dell laptop charger is included. The laptop is in excellent condition. Dell Inspiron 15 7568 laptop. Laptop Fan. Screen Type: Screen Assembly. Laptop Power Jack Board. Computer Accessory. Screen Size: 15.6". Laptop Hard Drive Cover Caddy. new arrival. Compatible for Dell Inspiron 13 5000 5368 5378 P/N:P69G001. Maximum Resolution:1920 1080 FHD only(not for HD). Screen Type: LCD Touch screen assembly Bezel. Display technology:LCD LED. Screen for the Laptop model is easy to be bought wrong,so make clear your original screen part number(P/N). Laptop Models This is an OEM LCD Panel which will replace the model listed in the title. model than what your old panel is. Video cable - DFTH4, 0DFTH4. FHD resolution (1920 x 1080). LCD Resolution FHD. 13.3" LCD Screen Touchscreen. LCD Finish Glossy. Complete Assembly Includes LCD Size 13.3. LCD Backlight LED. Full HD 1920x1080 - 40pin Connector - Right-bottom Connector. Genuine Dell 15.6" 1080p LCD Screen Panel. Any new and sealed item found to be faulty which carries a manufacturers warranty is to be taken up with the manufacturer. Laptop Models Models Listed in the title that have a 15.4" WSXGA LCD Panel. Resolution WSXGA (1680 x 1050). Not included: Plastic trim, Inverter board, Video flex cable/ribbon, hinges, rails, brackets. Brand DELL Screen Size 13.3" Aspect Ratio 16:9 MPN AT-LCDASSEMBLY-DELL13-7353-FHD-R Max. Resolution 1920X1080 Compatible Brand For Dell Compatible Product Line For Dell Inspiron 13 7352 7353 1920x1080 Screen Finish Glossy/Matte Display Technology LED LCD Country/Region of Manufacture China UPC 711301611436. Also included in the sale are the cover, network cable, USB 2 cable, and charging cable (see photo). It is a great little computer which, as you can see in the photos, I had set up for use by the family. Part no. 01609W. Dell Alienware 18 R3 Bottom assembly. It fits: Dell Alienware 18 R3. Conditon: Grade A. Item Title. Eastcomm Technology. No laptop is invincible, and screens may need to be replaced at some point throughout your laptop's life. With a wide range of laptop screens and LCD panels available, you can repair your laptop and get back to work as soon as possible. Select from Dell’s range of glossy laptop screens and LCD panels and matte laptop screens and LCD panels, depending upon your preference. Changing your Dell laptop screen is a fairly straightforward process, though you can also opt to have a professional install. Every computer user has a preference for their laptop screens. Glossy screens provide rich colour and contrast, and black levels are deeper. Glossy screens do however attract fingerprints and if you work in a bright room, reflections will be noticeable. A matte screen has a coating applied to it, giving it a smooth, non-reflective finish that is preferred by people who work on their computer for extended periods of time. Some people find matte displays to be easier on the eyes due to the lack of reflection. Colours will not be quite as vivid, but you will still enjoy a crisp, high-quality display. It is important to consider the display resolution when purchasing laptop screens. The resolutions available for Dell laptops will range from 720p up to 4K. 1080p is the most common option and is preferred by most users, as it offer sharp text and good performance for mixed use such as typing documents, playing games and browsing the Internet. Higher resolutions such as QHD and 4K are recommended for those that require maximum clarity, such as photographers and videographers. Many laptop screens feature IPS technology. IPS stands for “In-Plane Switching” and improves the viewing angle, making it more convenient to read your laptop at various different angles. The colours on IPS panels are more accurate and the response times are very good, so they are suitable for a wide variety of uses and are the preferred option for most users. Dell laptop screens are easy to replace, and there is no shortage of online tutorials. You should only attempt to replace your screen if you own an older laptop is outside of the warranty period. If you do not feel comfortable replacing it yourself, you can take your laptop and replacement screen to an authorised professional.